WhatsApp has just increased its group users limit from 100 maximum users to 256 users. WhatsApp which increased the user limit from 50 to 100 in 2004 has decided to increase it again probably due to the growing popularity of the app from 100 to 256. WhatsApp which is currently the most popular social messaging app recently crossed 1 Billion user mark. Now 42 Billion Messages are being exchanged via Whats App. In January 2016, WhatsApp announced that there will be no more $1 annual subscription fee and the app will now be completely free for lifetime. If you haven't seen this update on their device yet, just upgrade to the latest version of WhatsApp to see the changes. 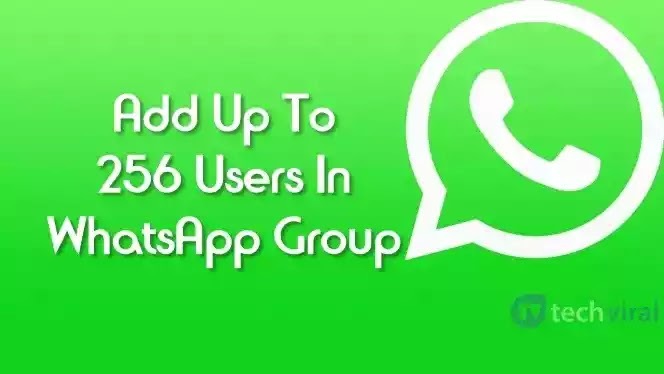 With this latest development, you can now have more than double of the number of users you use to have in a single WhatsApp group. Although this group limit increase is currently available on only Android and iOS devices, but WhatsApp has promised to extend it to other platforms soon.